Quality system Requirements, with which the manufacturer should comply, regarding the development and the manufacturing of the product. Safety and reliability requirements the product should meet, which includes items such as biocompatibility, software validation, electrical safety, electromagnetic compatibility (EMC), performance evidence, technical performance evidence, and pre-clinical and clinical evidence. How to achieve Europe Medical Device Registration and apply CE mark ? Prepare a Technical File / Design Dossier for each family of products that you wish to obtain CE mark for. Contract a European Authorized Representative. Contract a Notified Body who will audit your Quality Management System and Technical Files / Design Dossiers. Register your company and list your product with at least one European Competent Authority. The actual requirements for your family of products are subjected to the classification of your devices. This classification is based on the level of risk your device contains. Class I: EEG and EMG Electrodes, non-invasive. Scalpels. Dental Drills. Wound Management systems. Hearing Aid Tester.Corrective glasses. Examination gloves. Hospital beds.Scalpels. Stethoscopes for diagnosis. Stomach pumping tubes. Stretchers. Syringes without needles. Wheelchairs. Class IIa: All patient monitoring equipment, Syringes. Needles, for syringes. Blood oxygen analyzers. Contact lenses. Crowns. Extracorporeal Circulation Devices. Infusion cannula. Muscle stimulators. Sterilizers for medical devices. Nebulizers. Ultrasound diagnostic equipment. External ECGs. Class IIb: Lasers Devices for application. Internal ECGs. RF Generators. Non-energized implants. Brachytherapy devices. Condoms. Defibrillators, external. Hemodyalizers. Incubators for babies. Infusion pumps. Lenses, intra-ocular. Lithotriptors. Lung ventilators. Anesthesia machines. Class III: Energized implants All Intracardiac applications. Bone cements, with antibiotic. Catheters, angioplasty balloon. Catheters, with radioisotopes. Collagen implants. Contraceptive intrauterine devices (IUDs). Electrodes, neurocortical. Prosthetic heart valves. Shunts, carotid artery. Sutures, absorbable . Vascular stents. Bioactive implantable devices. Self-Declaration of Conformity according to Annex VII. Observe provisions of the procedures referred to in Annex IV, V or VI of 93/42/EEC for “sterile” or “Measuring” function devices. Audit by notified body according to Annex II. Apply CE mark. Audit by notified body according to Annex II. Product Dossier Exam by notified body according to Annex II. Apply CE mark. How to Get CE Mark of an IVD Device ? 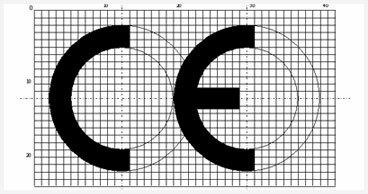 In order to get CE mark, you need to comply with the same generic requirements mentionned earlier for Medical Devices. The actual requirements for you family of products are subjected to the classification of your devices. This classification is based on the level of risk your device contains. Here are some examples of devices relating to product classification. List B: Reagents and reagent products, including related calibrators and control materials, for determining irregular anti-erythrocytic antibodies. Kobridge will assist in preparing and the technical file or Product Dossier to obtain your CE Certification. We can parallel for the implementation of a quality management system in compliance with the ISO 13485 and ISO 14971 in order to achieve Europe medical device registration. If your product falls into such category and you wish to sell in Europe you can contact us for a preliminary discussion.